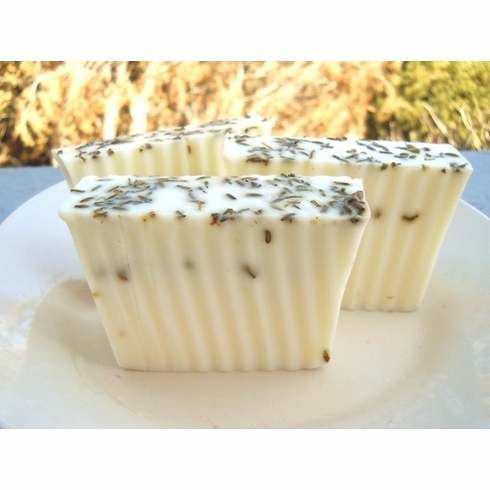 I made this gentle soap for those who love lavender but are allergic to dyes and synthetic perfumes. This mild soap contains goat milk, almond oil, grape seed oil, and lavender essential so skin will be left ultra conditioned without irritation. It is topped with lavender buds for an added fragrant bonus.